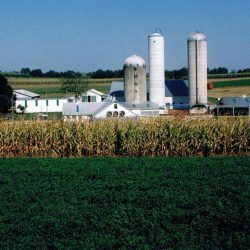 MILLHEIM, PA — The Pennsylvania Association of Sustainable Agriculture (PASA) is hosting a series of workshops for farmers who are interested in learning about how they can participate as citizen-scientists in research on growing healthy soils as part of its 2018 Soil Health Benchmark Study. By participating in the study, farmers will learn how to monitor their soil’s health and integrate methods to improve it into their management systems.Farmers will receive subsidized comprehensive soil tests issued by the Cornell Soil Health Testing Laboratory and soil reports issued by PASA specific to their farm. Farmers will also connect with their peers to collaboratively work to advance soil health research and improve management systems on their own farms by fine-tuning their cover cropping, tillage, and soil amendment strategies.While this year’s research focuses on diversified vegetable farms, row crop and dairy farmers may gain insights from the workshops and research as well.Workshop schedule:Monday, March 19th at Red Earth Farm (Berks County), 10AM – 3PMTuesday, March 20th at Bending Bridge Farm (Franklin County), 10AM – 3PMMonday, March 26th at Blackberry Meadows Farm (Allegheny County), 10AM – 3PMThursday, March 29th (Webinar), 12:30 – 1PMRegister at www.pasfarming.org/events or call 814-349-9856.Twenty-nine farms participated in PASA’s soil health research study in 2017. These farms generally revealed outstanding soil health outcomes. For instance, participating farms maintained living cover on their fields 237 days of the year, which means they are building soil and contributing to making air and water cleaner for nearly two-thirds of the year. They also showed high levels of soil organic matter and achieved optimal scores on the Cornell Comprehensive Assessment of Soil Health.PASA also found that participating farms have challenges in aggregate stability—an important measure of soil structure—and excessive levels of phosphorus, often caused by amending soil with manure or compost for fertility. Participants in PASA’s research study have the opportunity to collaborate with their peers to develop innovative and practical solutions to these common soil-health challenges. “Participation in [PASA’s Soil Health Benchmark Study] has been an excellent opportunity to think critically about our soil management strategy,” says Deirdre Flemming of Two Gander Farms and Apiary, an organic vegetable operation in Chester County. “Benchmarking our farm’s soil health relative to other farms put our results into context and offered an opportunity to learn more about the management practices of farms with high ratings.” Deirdre and her husband Trey have contributed to PASA’s research since 2016 and have used information from the study to guide improvements in their fall cover cropping. The Pennsylvania Association of Sustainable Agriculture (PASA) is a community of farmers and supporters focused on education and evidence-based research for the purpose of building a more economically just, environmentally regenerative, and community-focused food system.Through its SOIL Institute educational programs, PASA supports farmer-to-farmer learning, administers apprenticeships for beginning farmers, and coordinates on-farm research into soil health and other topics. PASA’s hallmark event, the Farming for the Future Conference, draws thousands of participants from more than 30 states and six countries each February.For more information, visit pasafarming.org.